Meet the wonderful Willow! She is a thee month old, seven pound, Bi-Blue, Shetland Sheepdog, who was in for her assessment this morning. Very excited, Grant, eagerly waited for Willow to arrive haha. Upon her arrival, he did everything he could to keep cool, and not fawn all over her. As many of you know, here at Fort Fido we want each and every dog to have the best day possible. We want each guest to "be a dog", fit in with the pack, and have fun. We strive to approach and assist each canine in a certain way, helping them to stay calm and balanced throughout their visit. Puppy "comings and goings" and how we handle them, are of the utmost importance. To aid in avoiding the dreaded S.A., we must set the right example (no fawning, no baby talk, etc...), and be quite diligent. Surprisingly, and despite Willow's best efforts of "extreme cuteness", Grant did good... Good thing Gary was there lol. Now back to Willow! This little doll went directly to The Fort's Medium Roll, once therein, it was clear that she wanted to meet the pack, and be with other dogs right away. Although small, we wanted Willow to be with slightly larger dogs right away, Shelties are tough and we know she could handle it. 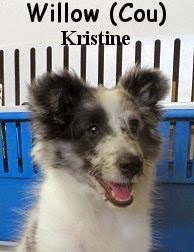 Especially since she has a Collie "sibling" at home. Willow is a cute pup and showed her ability to adjust in new situations. Willow seemed to enjoy the pack and communicated well with the others. She had quite a bit of fun while relaxing around the other dogs. Willow didn't fully play, however she did a few slight "hit and run" play styles (which is where she doesn't fully play, but attempts to). With some more time, I think that Willow will be playing with the rest of the pack and having a fantastic time. We are excited to have her back, and can't wait to see that cute face! Some neat articles found today, and two awesome video links that I found a couple days ago, from YouTube's Most Viewed. 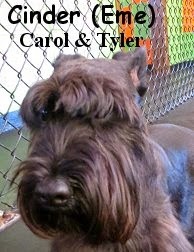 This morning we assessed Cinder, she is a cute, one year old, thirty-one pound, black and grey, Standard Schnauzer. This young canine gal bounded into Fort Fido's lobby, ready to explore. From there, Cinder was ushered to the Medium Roll where she would meet the pack. She came in ready-to-go and confident. Cinder met Walter, Emmett, and Sammy as well as many more members of the pack whom helped familiarize her with The Fort. When it came to the playing part of the pack, she wasn't ready just yet. The day turned out to be warm, but she stayed cool. Cinder was taking in all there is to know about Fort Fido today and looks enthusiastic to return. Cinder seemingly enjoyed her experience at The Fort. 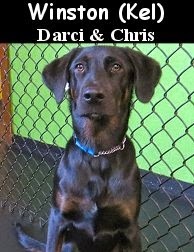 Given some time and consistency, we believe that she'll really benefit from Dog Daycare, and absolutely enjoy herself. The 2014 Dog-A-Thon at Fort Steilacoom Park went great for us, we had a lot of fun and met some awesome dogs. The weather was fantastic, and it was great to be out there for a good cause. Thanks to everyone who stopped by our booth and said hello. Also, congrats to our Fort Fido Basket winner, way to go! P.S. Join us this coming Saturday, August 2nd from 10am - 3pm, for Woofstock! It's going to be a blast, this event has live music! This morning we welcomed Addy to the Fort. 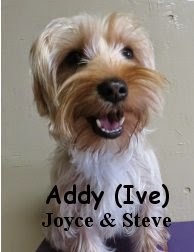 She is a 1 year old, 9 pound, Silky Terrier mix. Addy adapted well to the little roll, she mingled with the other dogs as they came in and made a good first impression. Good job today Addy! We hope to see you again soon. In this clip Addy can be seen mingling with the other dogs in the little roll. Check out this video of the ever clever, Fort Fido regular, Rainier. His owner made him a treat puzzle out of PVC and a plastic water bottle. What a great idea! 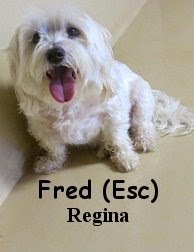 Meet Fred, he is a cheerful, eight year old, nineteen pound, Maltese who had his assessment this morning. After arriving, Fred ventured into our Little Roll. Up there, he sniffed about some and then he settled into his new digs. Once we introduced Fred to a few pack members, he warmed up to the others and immediately began to socialize. Fred mingled and began to feel relaxed after meeting Seamus. Shortly afterwards, Pearl and Dixie showed up to show Fred that The Fort is about having fun and being safe. 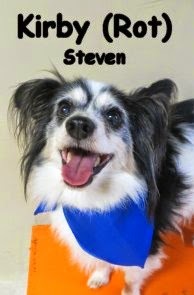 He has a great spirit and will continue to sniff around the Little Roll on his next adventure to Fort Fido. He will discover even more new friends to make the next time he returns. We look forward to seeing Fred again another day. Stay dry in this wet weather! Over the last few months, we have trimmed nails on a handful of our canine buddies with success, however, several of the dogs we've trimmed, or have attempted to trim, DO NOT want their nails trimmed, fighting it "tooth and nail" lol. No amount of treats and or positive reinforcement, seem to help these individual dogs, leaving us with only one way to get the job done... It would take a muzzle, along with a fair amount of "man handling", and two individuals just to get through the trimming, in a safe way, where no dog or human gets hurt... Doing things this way, may make it a less than pleasurable experience for our dog friends. That is exactly what we don't want here at Fort Fido, and why we have deiced to no longer do the Nail Trims. Our customers and their dogs love coming here, it is a good time for them, and we want to keep it that way. Through healthy socialization and play, the pets that stay here have made positive associations with us and the facility. We love seeing happy and excited dogs arrive in our lobby every morning. We do not want any of our dogs, particularly the ones fearful of Groomer or Vet visits, to have a bad association with coming here... Believing that every time they arrive, they're in for a Nail Trim lol. P.S. For your Canine Nail Trimming needs, we recommend University Place Best Pet Grooming and Fircrest Veterinary Hospital, both are only a hop, skip and a jump away from us. Life at The Fort is exciting and fun for all dogs. Everyone has a good time here, playing and making friends as well as bonding with the pack. Enthusiastic about the playing today, we got some great video clips of some pack members playing. As seen in the video below, we got a snapshot of Jude sneakily playing with Brix. They snuck more playing in before we could snap some videos of them. Having a tremendous amount of fun, Blue and Reilly play it up in the large roll. Reilly and Theodore are tearing the large roll apart, having a grand ol' time. After requiring a few seconds of convincing from Theodore, Brix relaxes and begins to play with Theodore. Hope everyone is enjoying this break from the hot weather, stay cool! A bit ago I mentioned new dogs Winston and his brother Walter. They were supposed to assess on the same day, but Walter was a bit under the weather when Assessment Day arrived. Since then, Winston has been having a really good time at Fort Fido and is doing well... While Walter, is finally back to 100% good health, and was ready to go for his assessment this morning. 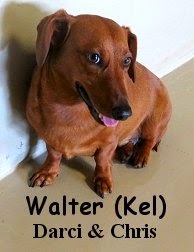 A three year old, twenty-three pound, Miniature Dachshund Mix, Walter, naturally tried out The Fort's Little Roll upstairs. There, he sniffed about, exploring the play area curiously. As other dogs were introduced to him, Walter met with them in the proper manner, cautiously going through the motions of canine greeting. As the pack grew, Walter stayed cool, calm, and collected. Although he didn't play too much, Walter did enjoy hanging out with the other dogs, and seemed comfortable. Given a bit of time and consistency, we wouldn't be surprised at all if Walter starts in on some more play. His bro Winston has proved to be quite the player, so Walter may get there too. Good job today Wally, we shall see you around. Today we welcomed Ruby to the Fort. 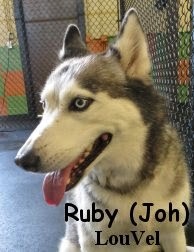 She is a 7 year old, 57 pound, Siberian Husky. She did very well for her first day, she didn't play, but she was very curious and mingled with the other dogs. She is welcome back any time. Good job today Ruby! In this clip Parker the Golden Retriever is having a blast with the herding ball. "Fresh off the press this morning"
Photographer captures faithful dog's last day Watch out for that one, it's a sad one, gulp. Horribly mistreated dog gets an epic makeover Holy smokes! Dog saves deaf boy from fire Way to go Ace! Lost Dog App using facial recognition gains traction Dang, the future is now lol... That sounds like a project Gary should be working on. Common complaints from dog owners Ha! I'm quite sure we've all experienced one or all of those "complaints" at some point in our dog loving lives. Family creates 'canine bucket-list' for dog with cancer Pretty awesome, similar to that first article. I'm enjoying this "cool new trend" in the celebration of a pet's life. Dog drives to celebrate birthday Ok. Maybe that is getting carried away a bit, or maybe not? They lost me on that one. That was my dog, now let me explain Dang Bella, that's embarrassing! New tech helps injured dog get prosthetic paws Way to go Brutus, lucky dog! 4 things your dog can teach you about customer retention Never thought of this... Very interesting. New dog carrier allows injured older dogs more freedom Great idea, too sweet! Italian beach offers Dog Ambulance What a novel idea. This morning we had the pleasure of assessing Nina. 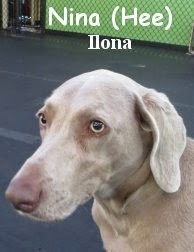 She is a seven year old, sixty pound, silver colored, Weimaraner. Lucky for us, Nina, has been a long time Dog Daycare and Overnight Boarding attendee, at facilities in and around Seattle... Making her a versatile dog, that is more than comfortable around a pack. She has a calm and mature disposition, akin to our Ginger of the Big Roll. Nina did great in the Big Roll play area, where she pretty much acted as though she'd been here times before. This sweet gal didn't play a whole heck of a lot, however she did "meet and greet" with the other canines healthily. Nina meandered bout the play area, socializing and getting familiar with her new surroundings. She is one neat dog that is welcome to hangout at The Fort anytime. Wonderful job today Nina! We hope to see you again soon. 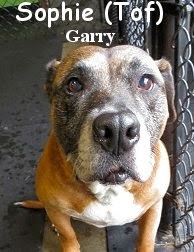 It is with great sadness that we announce the passing of one of our canine friends today. Kirby, a Fort Fido regular, just died. His owner let us know over the weekend, and our most sincere apologies go out to him. We are sorry for your loss! Kirby was a real character, a very fun dog, that often times made us chuckle with his antics... Although tiny in stature, and a senior in age, Kirby, had a rather large, youthful, and happy personality. He still had a lot of spunkiness, up until his last day. Kirby thoroughly enjoyed coming to The Fort, where he'd arrive bright and early, eager to hangout upstairs in the Little Roll. There, and like clockwork, he'd play and socialize throughout the day, acting quite spry for an older gentlemen. We will definitely miss Kirby now that he is gone, luckily however, the memories of him will live on. Be well old friend! In this clip from upstairs, the small dogs are enjoying ball time. Check out this real-life version of "The Fox and the Hound". The baby fox was rescued by a tourist in England, and adopted by a wildlife ranger. Take a look at the pictures here. Another unlikely friendship. One year old Cheetah "Winspear" and Black Lab "Amani", share a popsicle on their birthday at the Dallas Zoo. Our Overnight Boarding here at Fort Fido has proven to be a great success. We've been going strong with it for a little over two years now, my how time flys! Today, I wanted to throw out some Overnight Boarding Tips. Basically, what you should and shouldn't (or don't need to) bring with your dog to The Fort, for their overnight stay. What we have been running into is, some folks are bringing in wayyy too much, while others aren't bringing in enough... So here is our recommendations on the "perfect amount of NEEDED gear". 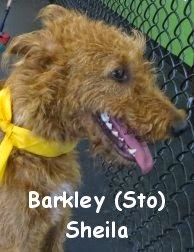 *Please note, if your canine has special needs (i.e., they need their bandages changed, insulin injections, hair styled, salve applied, diaper changed, booties kept on, etc...) please speak with a Fort Fido staff member prior to making boarding reservations. We may not be able to meet certain needs, and extra fees may apply. - A towel, old human shirt, blanket, and or bed. As you already know, all dogs coming into The Fort must be on a quick-release collar and leash only. For a boarding stay, go ahead and bring them in on this exact same setup. If you canine already eats our wonderful "house food", Fromm Gold, then you have it easy, don't bring in any food... However, if your pooch does not eat Fromms. Please bring the food they eat daily from home. We do not want to deal with any Digestive Issues lol. You can bring your dog's food in the packaging it comes in, or a tub, or Tupperware, even a grocery bag or any bag works. Just be sure to bring enough food for the duration of their visit, and be sure to supply us with a measuring device for your dogs individual portion. Measuring cups, scoops, pint glasses, and to-go cups all work well. That is it, easy as pie! Any more gear than that pretty much just becomes a burden, and or can't be used. Some things, like treats and toys, don't get used because they can't be, for safety's sake, or because they will just get ruined by other canine guests. Here, we provide water and water bowls, food bowls, toys (little roll only), crates (if needed), etc... We even have extra bedding and towels. We appreciate you going with the "less is more" approach when bringing in gear for your pet's stay. Thanks for making it easy on us lol! Although accidents and mistakes can, and do occur, here and in life... While staying at For Fido, to the best of our abilities, dogs are monitored, and kept in optimal physical and psychological health. People care for and communicate with dogs in many different ways, what may be a great way for one, isn't for someone else. Being Canine-care Professionals, we understand this in depth, and attempt to tread lightly on the subject. We have customers from all walks of life, whom each handle their canine differently. The one common thread though, and the thing we most appreciate, is that they all trust us to care for their dogs in our way. For this we thank them, we are truly obliged by their support and understanding. Believe us when we say, everything we do at our facility, is for the total health and wellness of the animals that come here. Safety for the dogs comes first, which is then followed by customer service. As Canine-care Professionals, we have a keen understanding of the canine brain and a dogs individual actions/needs and how to address them. We ensure that they are safe, comfortable, and clean at all times... While simultaneously allowing them to "be dogs", the fantastic rabble-rousers, players, and socializers they are, truly part of a pack once in our care. We like to call ourselves, Dog Wranglers, jokingly defining that term as "Janitors and Referees", albeit it's true. So with all of that, please, go about your day, night, vacations and trips, without a care, rest assured that your doggy companion is in good hands here. Trust us and let us work, we are the experts. If we are experiencing a problem, or an emergency arises concerning your pet, after addressing it, we'll be the first to contact you... We have a cheeky saying around here, but it holds true, "no news, is good news." To all of our customers, thank you so very much for your business. Don't forget to get your reservation in now for boarding! Three nice rolls, several radical dogs, and six great clips from today! The Big Roll, featuring Harley, Oliver, Theodore, and Tucker. The Medium Roll showing off a bit of that awesome play Lucky and Yuki like to get involved in. The Little Roll, in all of it's ball-time glory! Washington Pet Store Owner is eating only pet food for 30 days! Video shows agile turtle playing soccer with a dog, although he's a bit "Suarez-esque"
Surviving the dog days of summer... Here is How we beat the heat here at Fort Fido. What is your dog trying to tell you? Some of the things showed in those photos, like yawning, are actually what we like to call "Calming Signals", used between canines to communicate and help calm each other's moods. Basically, they aren't necessarily "negative or positive" they are just forms of communication... Which I might add, are much different than ours, and far more subtle. Checkout the "real info" about dog's Calming Signals and what they are trying to tell you. Alright sorry, couldn't help it, here is another "hotdog link", o that's a joke within a joke! Ok, I'll stop, must be "the heat" getting to me lol... 11 toppings to make your hotdog the top dog. Ha, at least we can tell what I'm craving today. 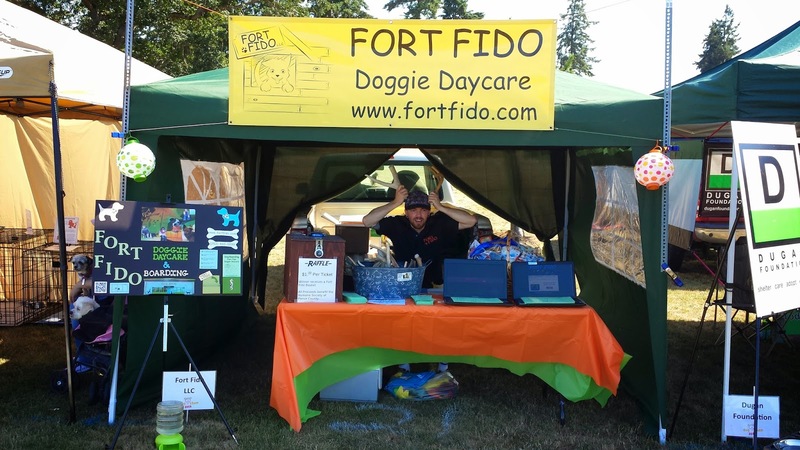 By the way, get ready to say hello to us at the Fort Fido booth, at the 2014 Humane Society Dog-A-Thon, at Fort Steilacoom Park, on July 26th, from 9 am - 2 pm. If you haven't already, you definitely must check this even out, it's a lot of fun and it supports a great cause. On top of that, a little bird told me that Fido will be having a raffle there, with a great prize, cool! Hope to see you there! This morning we were scheduled to assess two "Brothers from other mothers", Walter and Winston. Unfortunately, due to injury, Walter didn't make it in this morning, however we'll be meeting up with him soon. Although Walter was out of the game, we were lucky enough to still meet up with Winston... Who is a six month old, about fifty pound, Doberman Pinscher Mixed Breed. Since Winston looked like a bit of a livewire, we tried him out in The Fort's Big Roll. Once therein, Winston explored the play area cautiously. As other dogs arrived, he met and sniffed with them in a proper manner, albeit very carefully. At first, we weren't quite sure if we were going to see Winston bust out into play, but then, boy did it happen... After about forty-five minutes, the pack continued to grow, with Tucker coming into the Mix. Sure enough, Tucker, who looks immensely like Winston, got Winston out of his shell. From there it was game on, and the two dogs enjoyed wrestling together throughout the morning. Winston is on track to becoming one awesome adult canine. Winston is welcome to attend Fort Fido, and we are happy to have another "Player" amongst our ranks. Well done today bud, hopefully your "older brother" Walter will heal up quickly, and then do as good as you did, on his assessment day. Here are Winston and Tucker involved in some great play! 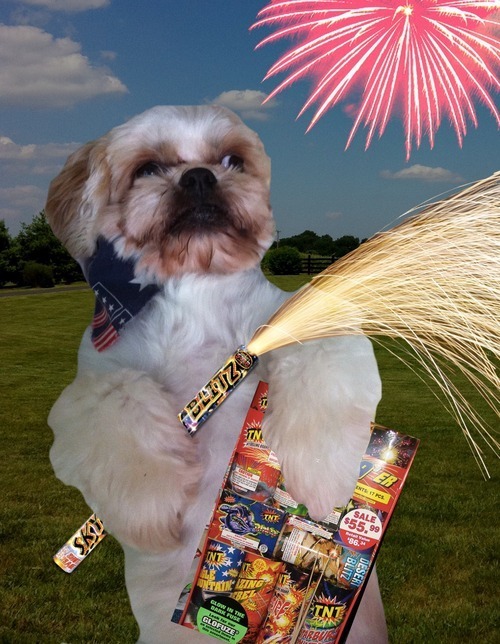 Happy 4th of July, we hope that you and your pets are having a wonderful time (and being safe) with the fireworks and festivities! The Fort is a popular place for dogs on the 4th. Below are some funtacular clips of the dogs celebrating the holiday. In this clip, we can see Small rollers Pearl, Dixie, Lucy, Mimi, Finn and Phoebe, Riley and Piper, celebrating the holiday worry and stress free! I really enjoyed this one from Pearl's ma, thanks Phyllis! Ha, what a riot, I can attest to the dangers of these darn leads... Luckily nobody has lost a finger (the back of the box says it can happen), my staff and I have gotten a couple of nasty "rope burns" from these buggers. Safety a side, you get zero control over your pooch with the blasted things lol. Last week, Gary mentioned the newly crowned, World's Ugliest Dog... Jimmy Kimmel just had me cracking up with his latest segment on the event and it's winner, Peanut. Do yourself a favor and watch this hilarious gem! Last but not least, how's about another funny one, this time, a pup who goes up stairs backwards. Fort Fido's crew was ready to meet Miss Sophie today. She is a gentle, ten year old, fifty-eight pound, Black Mouth Cur. This sweet and mature gal trotted back with us to the Medium Roll. There, Sophie wasn't quite sure where she was, or what she was supposed to do inside The Fort's play area. Being a wee bit older than your average Daycare Dog, Sophie isn't one for crazy-wrestle-play like some of our younger canines guests. However, Sophie has socialized with dogs before, and seemed to enjoy being around the pack. Once she figured out that she wasn't "at The Vet for surgery", Sophie relaxed a bit more. Given some time and consistency, we believe that Sophie can be even more comfortable here, and relax while visiting. She has a very kind disposition, and is pretty darn tolerant of young whippersnappers. Sophie, you may stay with us anytime, way to go today girl, ya did just fine! Today was Max's Assessment Day. 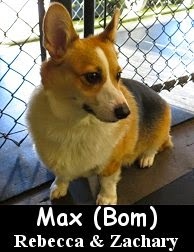 He is a handsome, three year old, twenty pound, Pembroke Welsh Corgi. We had Max have a go in our Medium Roll Play Area... He followed us to it easily, and entered without a care. Once the other "medium canines" began to arrive, Max acted quite cool, calm, and collected. He seemed curious as to what was going to happen at The Fort today. Max met with the others in a kindly fashion, but wasn't too interested in interacting at first... After being given some time, about two hours, Max began to interact much more. He busted out into a bit of play with Yuki, and seemingly had a good time. It has been our experience, that most "Corgi Canines" start to play and socialize quite feverishly lol. Max is one regal little dog that is more than welcome to hangout here at Fort Fido anytime. We here look forward to seeing him again soon.